Why is Hootsuite Called Hootsuite? In recent years, social media has undoubtedly changed the face of marketing. For better or worse, platforms like Facebook, Twitter and Instagram have opened more direct channels of communication between brands and their audiences. One of the most overlooked perks of social is the ability for a brand to instantly collect feedback from not only existing users, but also potential users. For brands especially, the challenge is having numerous social accounts to manage and organizing the massive amount of content it takes to fill those channels. Often times, this is where outside agencies are brought in to help. Companies like Invoke Media, based in Vancouver, Canada, for example, have been known to assist businesses with social media strategy as well as community management. In 2008, Invoke was doing exactly that when one of their employees, Ryan Holmes, thought the process could be improved upon. Wearing multiple hats and managing several social accounts, he realized that no tools had been developed to help community managers stay organized. He envisioned a one-stop-dashboard to avoid the tedious task of marketers having to log in to each account to publish a post on Twitter, LinkedIn, Facebook, Google+, etc. And thus, BrightKit was born. The tool was designed solely to resolve the scattering of time and attention caused by social media – at least on a professional level. As an online application, it would serve as a centralized dashboard where one could manage several social media channels at once. Why is it called Hootsuite? In February 2009, BrightKit saw itself on the board for a Shorty Award, and with 100,000 users, the site was quickly gaining attention. They caught so much attention, in fact, that they also collided with a similarly named, but altogether different company, called BrightKite. Even though BrightKite was operating then as a location-based social networking site, where users could check in and see who was nearby or who had been there before (much like Foursquare), they had been established before BrightKit, and politely asked the newbies to rethink the brand via email. In true form, Holmes and team turned to social media for a resolution. 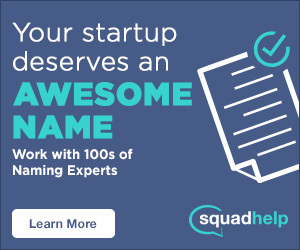 The best suggestion would be awarded a $500 prize. At the time, the only thing BrightKit intended to keep was their logo, an owl affectionately named Owly. Also a fan of Owly, user Matt Nathan came up with Hootsuite, derived from Hoot, per the owl, and the French expression “tout de suite,” which means right now. 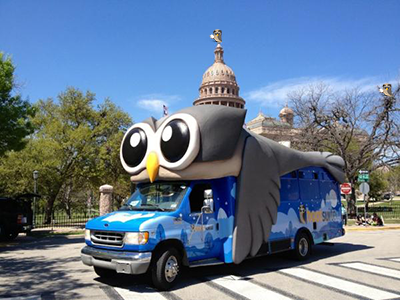 The name was an immediate hoot, and Hootsuite changed its name just before taking home the Shorty. The innovation didn’t stop there, though, and later that year Hootsuite added features to support Facebook, LinkedIn and Twitter Lists. By the next year, the startup flew the nest and left Invoke Media to launch as an independent company. Today, they operate on a freemium model, giving users access to certain features before charging a fee for extra services. The structure was meant to enable the monetization of the site without the cannibalization of their growth. It seems to be working, given that Hootsuite labels itself as the “most widely used platform for managing social media,” with more than 10 million users and 800 of the Fortune 1000 companies as clients, as well as availability in 16 languages and more than 175 countries. All things considered, it’s safe to assume Owly won’t stop seeing the light of day anytime soon.